Synology introduced several new NAS models for both consumers and Businesses. Synology has a good footprint in the major cities in India. 2018 was a favorable year for Synology as there was a high demand for Synology products. Synology, a leading global provider of Network Attached Storage, surveillance and networking equipment, discussed on empowering individuals and businesses with solid streamlined and smart solutions for evolving digital world. At the press briefing, in addition to global statistics and technology directions, Synology presented 2018 business updates and latest investments & plans for India in 2019. -Synology has introduced several new NAS models for both consumers and Businesses. All industries need data backup as there is huge amount of data being generated. Synology Active Backup centralizes backup tasks for VMware, Windows, Office 365 and G Suite to Synology NAS - and lets you manage from one simple console. Fast and reliable recovery delivered to keep running services, VMs and files instantly available. Synology NAS is a perfect storage for virtualization, certified by VMware, Windows, Citrix and Openstack. As virtualization is the future, which helps business to utilize and manage the resource on hardware devices, Synology further introduced new application, the Virtual Machine Manager which can turn the NAS into VM server. VMM supports various operating systems and allows user to use maximum 7 units of Synology NAS to build a cluster for load balancing. Other than VMM, Synology also provides VMM pro which can run more advanced feature such as Live Migration, High-Availability and remote replication etc. To enjoy VMM pro, Synology provides corresponding licensing plan and 30-day free trial. 5G is an inevitable trend. Synology is well prepared for the 5G and mobile wave, and has rolled out several mobile applications that are dedicated to provide easier access for users to manage their files and data on Synology NAS from their mobile phone. With internet infrastructure becoming faster and more robust, for cloud services, it means the cost for data transferring is becoming lower, the amount of data transferred and the speed are becoming bigger and faster, and most importantly, the boundary between private and public cloud will become more indistinct, as the experience will become more seamless. Thus, Synology rolled out its first public cloud service, Synology C2, to ensure that other than on-premise private cloud solution ,customers can not only have an extra layer of protection on the public cloud, but also can enjoy a complete and seamless user experience while navigating between two places. “Synology has integrated artificial intelligence on the likes of its smart photo sorting app, Moment, hard drive failure prediction app, Storage Manager, and deep video analytics empowered app, Surveillance Station. 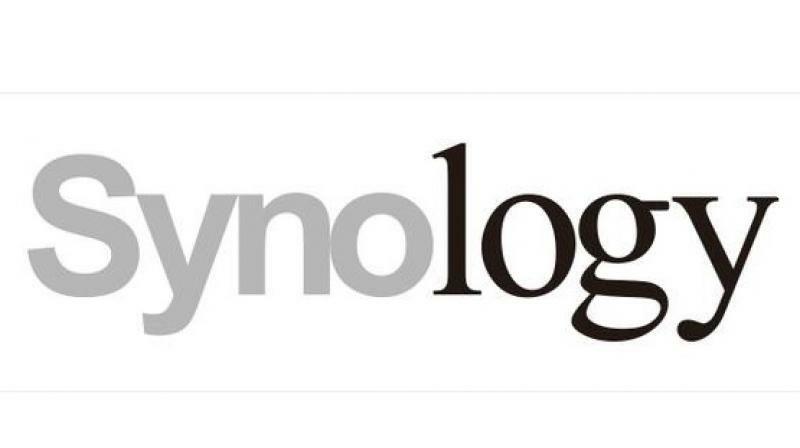 The significant amount of resource that Synology allocated on developing artificial intelligence into Synology NAS is to ensure we turn your regular storage products into a smart device.” said Mike Shay, Sales account manager of India, Synology Inc.